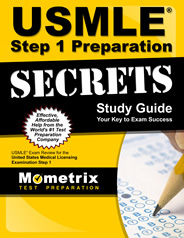 Step 2 of the USMLE measures the candidate’s ability to apply medical knowledge to specific situations while supervised. This exam places emphasis both on scientific understanding and patient-centered skills. The content of the USMLE Step 2 can be broken down into the following areas: internal medicine; obstetrics and gynecology; pediatrics; preventive medicine; psychiatry; surgery; and other areas relevant to provision of care under supervision. 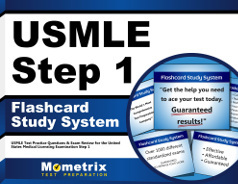 The USMLE Step 2 exam will be structured to resemble a real medical scenario: candidates will be given a clinical situation and required to provide a diagnosis; prognosis; indication of the underlying mechanisms of disease; and subsequent steps of medical care, including preventive measures. The topics covered by the exam can be broken down from the perspective of normal conditions and disease categories as follows: normal growth and development and general principles of care; individual organ systems or types of disorders (immunological disorders; diseases of the blood and blood-forming organs; mental disorders; diseases of the nervous system and special senses; cardiovascular disorders; diseases of the respiratory system; nutrition and digestive disorders; gynecological disorders; renal, urinary, and male reproductive systems; disorders of pregnancy, childbirth, and the puerperium; disorders of the skin and subcutaneous tissue; diseases of the musculoskeletal system and connective tissue; and endocrine and metabolic systems. The topics on the exam can also be broken down from the perspective of physician task: 15 to 20% of the exam will be on promoting preventive medicine and health maintenance; 20 to 35% on understanding mechanisms of disease; 25 to 40% on establishing a diagnosis; and 15 to 25% on applying the principles of management. Individuals who pass Step 2 of the USMLE will have a solid grasp of the scientific knowledge required to practice medicine, and will also possess the basic skills required to assist patients. The Federation of State Medical Boards and National Board of Medical Examiners have developed a three-step examination process for licensing doctors. This system is known as the United States Medical Licensing Examination. The three steps that make up the USMLE cover all of the knowledge and skills required to identify medical conditions and maintain patient health. Step 1 of the USMLE focuses on the application of scientific concepts to the field of medicine. In particular, Step 1 covers the conceptual underpinnings of health, disease, and therapeutic techniques. The content areas covered in Step 1 of the USMLE are as follows: anatomy; behavioral sciences; biochemistry; microbiology; pathology; pharmacology; physiology; and miscellaneous interdisciplinary topics, such as nutrition, aging, and genetics.